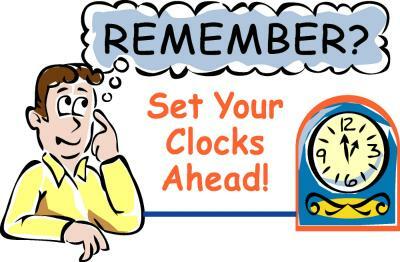 Have a great weekend and don't forget to set your clocks ahead one hour tonight. Stupid rule, unless it's in October and we get an extra hour. Well, three men decided to troll my niece down here at the Dollar Store. She knew exactly what was going on. As she left they tried to rob her. What they didn't know was the minute she started to walk out, she had her hand on her gun. She pulled it out and they ran like scared chickens. So proud. I must add her dad and uncle are former OKC police officers so she has been taught well. Off to do stupid stuff today in the rain. Have a great day Irregulars. What If one of the robbers had a gun In his hand, and she didn't know It. My rule, If you're brave enough to carry It, then be brave enough to pull the trigger If you pull the gun out. If you pull It, USE It. Toad. Trust me when I tell you she would have used it. Wow, OKIE. Bravo for your niece. As society deteriorates, it makes more and more sense to concealed carry. I DON'T WANT TO LIVE IN THE WILD WEST. I do not want the need to carry a weapon, ever. I HATE the gun violence that is becoming commonplace. That being said... this event for your niece had to be terrifying. I'm so glad she is okay. There was a full hour and a half topic show on gun issues, just this morning on the CBS Sunday Morning News Show. It was presented well, and touched on both sides of the issue. It was hard to watch, as they spoke about kids shooting kids. Our most recent local story is that there was a shooting at the Bray Center, which was leased out for a party. Someone came in, things got heated, and 3 people were shot. Our teens are living in a more violent time. PTSD is becoming a way of life. I am not against self defense. In the case of OKIE's niece, for ME It all depended on the distance the two thugs were from her at the time she pulled her gun. IF, they were literally on top of her, what she did was dangerous to her, and others. I don't think she could know If one of them had a gun also, and ready to shoot. AGAIN, this ALL depends on distance. In other words, If you the victim Is 10 feet or so from the two thugs, you MAY stand a chance? Of course a 2 year old could somehow get hold of you're gun, and shoot YOU through the seat by ACCIDENT? Me, neither, but the thugs continue to grow in numbers and audacity. The police can't be everywhere at once. I too don't want to live in the Wild West but our legislators do. They keep passing laws saying its okay to carry an open fire arm. I think the NRA has way too much power.